Is your Mac running slow? Are your applications crashing? Is your battery running out of juice quickly? Are you running out of space on your Desktop? 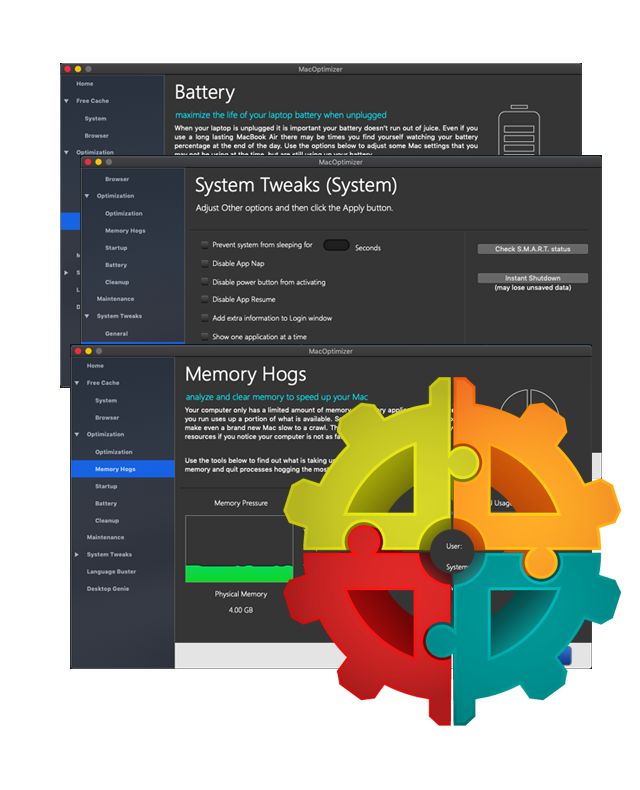 Get your Mac back in shape with an incredibly fast disk utility that will optimize and clean your hard drive, maximize battery life, free memory, organize your Desktop, and more. A “must have” app for every home and business. Supports Mac OS X 10.9 and newer. 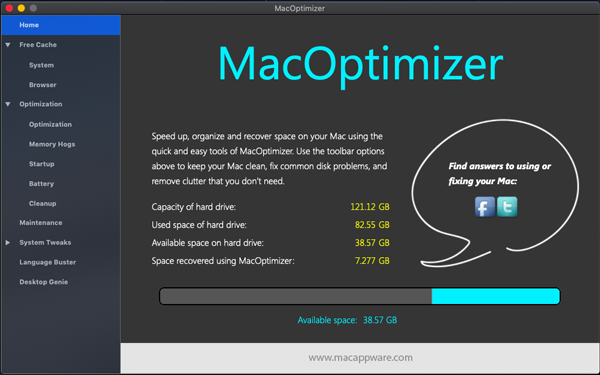 Get your Mac back in shape with the new MacOptimizer 4! No operating system is perfect, and Mac OS X is no exception. 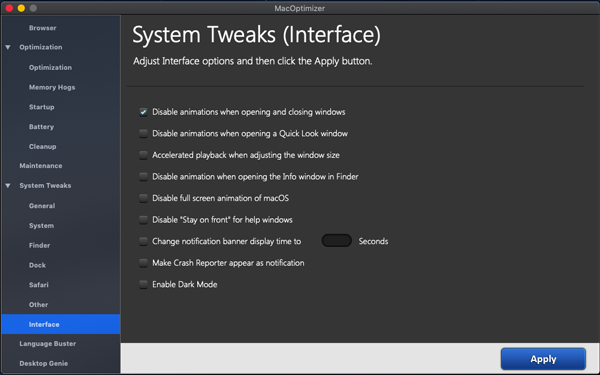 Do you have applications that keep crashing or don’t even open? Have you noticed your Mac is running slower? Are you having trouble locating files or folders on your Desktop? 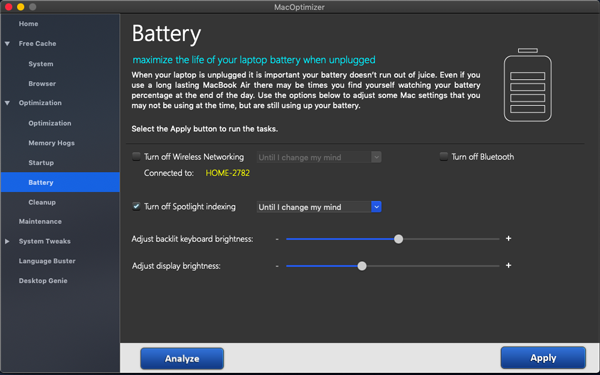 MacOptimizer is an incredibly fast and efficient disk utility to optimize your Mac, increase battery life, speed up workflow, and organize files and folders. Clear your system of temporary files causing poor performance and stability, clear browser caches (Safari, Chrome, Firefox), and clean your font caches if you experience text problems (cleans system, Adobe and Microsoft font caches). 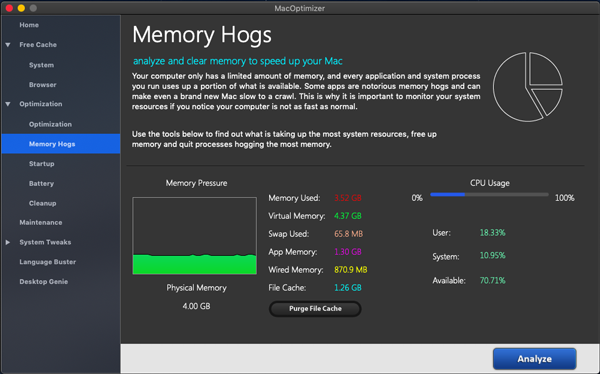 Optimize and repair your Mac so your OS and applications run faster, analyze and quit memory hogs, monitor CPU usage, maximize the life of your laptop battery, cleanup files on your Mac, and manage apps that start up automatically when you boot your Mac. 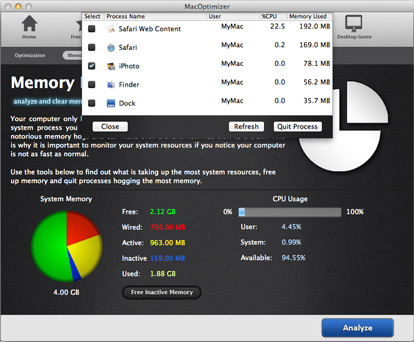 Run system maintenance tasks to keep your Mac running smoothly. 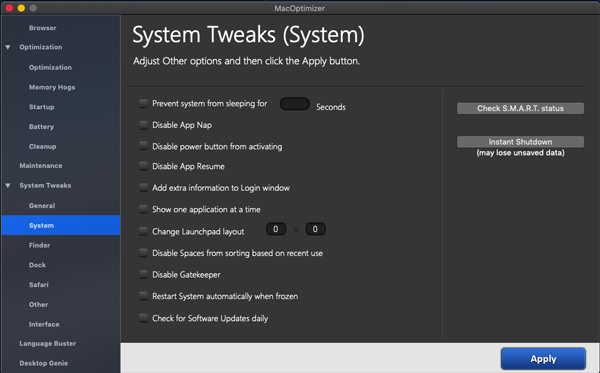 Get easy access to hidden OS X settings and other useful tweaks that make it easier to work on your Mac. 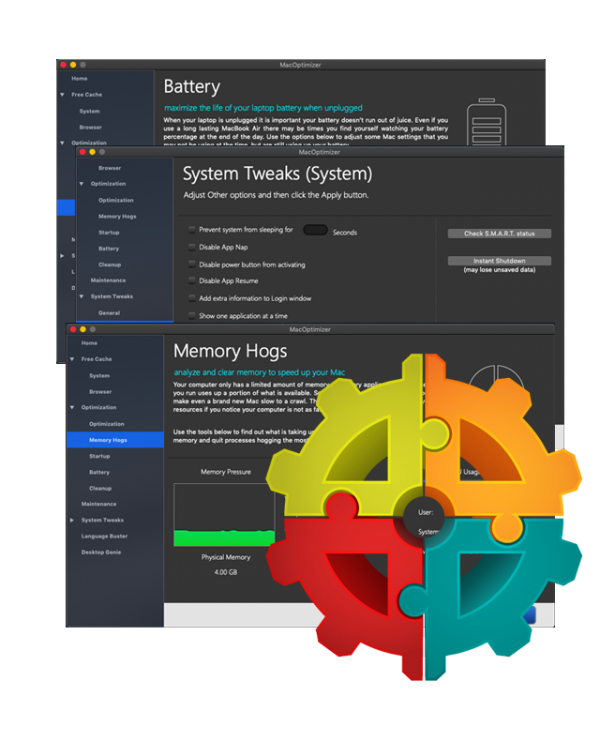 Categorized by General, System Finder, Dock, Safari, Interface and Other. Remove unnecessary language files to recover space on your Mac. Clean up your Desktop to speed up your Mac.